Phil the Groundhog surrounded by his Punxsutawney posse, dressed as always in 19th Century garb. So today is perhaps the strangest holiday on the calendar, the day when otherwise perfectly normal people seek psychic advice from a rodent. Yes, it’s Groundhog Day. Because I realize this “holiday” is somewhat unique to North America (and, really, to Pennsylvania, the University of Dallas, and a few other odd pockets), I’ll go ahead and explain the tradition. On February 2, the groundhog emerges from his hidey-hole to check the weather. If it’s cloudy, the little guy scrambles out into the wide world and spring is (obviously) “just around the corner.” But if the sun is out and this genius prognosticator can see his shadow, he runs back inside and we can be sure to expect six more weeks of winter. 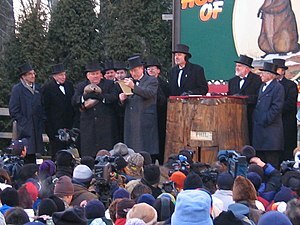 The most famous of these furry meteorologists is “Phil” of Punxsutawney, Pennsylvania (made, if possible, even more famous by the 1993 Bill Murray film) who has been making his predictions since 1886, a curiously long life for a groundhog that should normally live less than 14 years. Since the celebration began, Phil has seen his shadow 100 times. And because no one wants to let go of such a nice round number, this morning he emerged under cloudy skies and predicted a nice short winter. A movie that never seems to get better even when you watch it again and again and again. Of course the practical historian in all of us wonders, I’m sure, from where on earth such a tradition could have come? No one really seems to be sure, but there are a few theories. The one that makes the most sense to me (if one can approach rodent weather prediction sensibly) is that the celebration was born from the clashing of two calendar systems. While western countries in the Northern Hemisphere recognize the first day of spring as the day the length of daylight finally exceeds the length of night (the Vernal Equinox, which is around 6-7 weeks after Groundhog Day), Celtic tradition places the first day of spring at the cross-quarter day of Imbolc, when it is said that the daylight begins to make significant progress against the night. Probably not coincidentally, Imbolc occurs in Early February (just around the corner from Groundhog Day). Naturally, people wanted to know when spring really would begin so the most logical thing to do was to seek signs in nature as to when the thaw would begin and the sun would truly emerge. And a tradition was born. 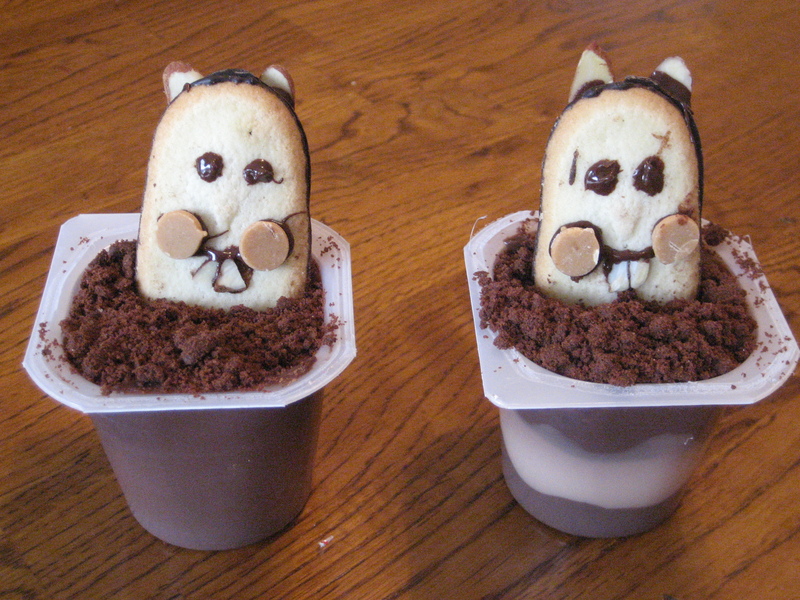 Today you can attend Groundhog celebrations in many small towns throughout Pennsylvania, though I should warn you that you’ll need to brush up on your Pennsylvania German because if you speak English during the event, it may cost you up to 25 cents per word. And they have. The Groundhog Day festivities at the school resemble a homecoming celebration with the election of a Groundhog King and Queen, campus-wide sporting events, and crowds of alumni swarming in to join the student body in all-night, semi-controlled, frivolities in the park, which, if I understand correctly, involve quite a bit of heavy drinking. As with almost all of my creative cool mom ideas, this one comes straight from a magazine. You can find cuter ones in the most recent issue of Family Fun. All that remains to be determined, then, is whether the Groundhog, or Marmota monax (because my Latin is better than my Pennsylvania German) is a accurate meteorologist. The answers to that question are mixed. According to organizers of the event, Punxsutawney Phil has been right 38% of the time, which probably does make him at least as accurate as the average TV meteorologist. Some studies have given the rodent much more credit, claiming accuracy of 75 to 90% of the time. I think the discrepancy occurs, though, because the beginning of spring may actually be a fairly subjective thing to measure. Depending, of course, on where you live, spring generally pops up somewhere in the six weeks or so just around the corner from the first few days of February. Maybe, then, what the groundhog is really trying to tell us to be patient because spring is either six weeks away or maybe just half a dozen. If April showers bring May flowers, what do Mayflowers bring? 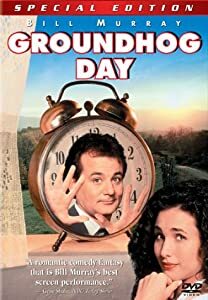 Groundhog Day is one of my all time favorite movies. Thanks for the post. It’s a fun movie. I’ve sure had days that I felt like if I could just do them over again, I might finally get them right.